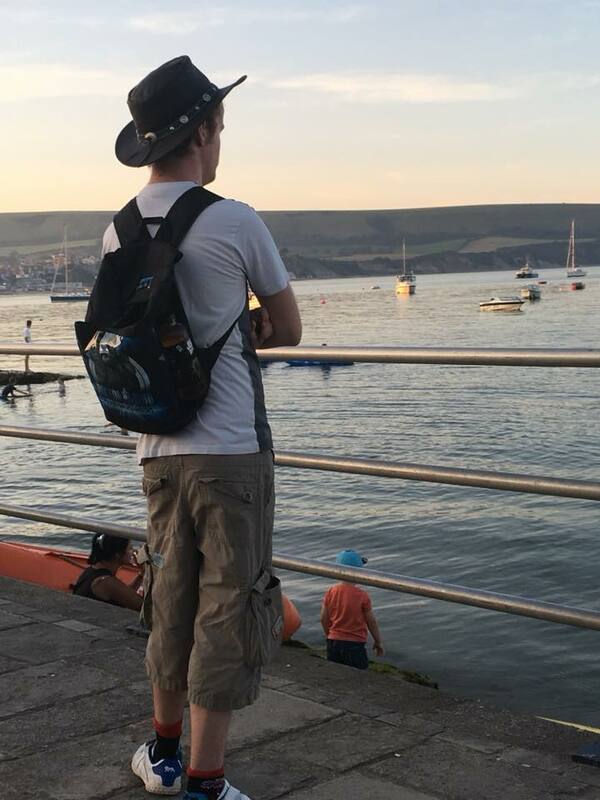 This is a picture of me in Swanage from last year. Every year around late July-early August, my family and I go on holiday to Dorset. It’s a lot of fun and it’s almost always the highlight of my summy holidays. Because this tradition has gone on for years, I know Dorset well enough to recommend a few touristy spots for you all to visit. Weymouth: This should be its own category since there are loads to do here! There’s Lodmoor Country Park which contains a pirate-themed mini golf course, the Weymouth Sea Life Centre and Sand World: the sand sculpture exhibition. Not to mention on the other side of the beachfront there’s a mini amusement park, complete with a carousel and a rather large arcade, and the Jurassic Skyline which lets you oversee the town and beachfront. That’s not to mention the beach itself which is large enough for you to enjoy. I’m probably not doing this town justice as there’s a ton of things to do so I’d recommend that you should check it out for yourself if you haven’t already. Swanage: This is another beach town I highly recommend. Though not as big as Weymouth, it has its own merits with a number of unique shops, a railway station that takes you up to the likes of Corfe Castle (more on that later) and a 19th-century pier. Check it out, especially if you’re looking for somewhere alternative to the typically busy Weymouth. Corfe Castle: See? I told you I’d get back to that! This is a village near Swanage containing, as the name suggests, the ruins of a medieval castle. The castle itself is a sight to behold with its own medieval village where you can play medieval games and even duel with wooden swords. You can even explore the castle in its entirety and though it can get windy up there, the view is to die for. But it’s not just the castle itself to watch out for as the village itself is nice and quaint with a national trust shop (where you can buy the aforementioned wooden weaponry) and a model village which in itself is a highlight. For the history fans who read my blogs, this is the one for you. Monkey World: Do you like monkeys and primates as much as I do? Then this is the perfect place for you! There are all sorts of different sorts of monkeys and apes including orangutans, chimpanzees, marmosets, capuchins and Gibbons. And for those who are worried about them living in captivity don’t you fret, this is a rescue centre so all apes are treated with care and have been saved from an even worse fate. In short, this ain’t no monkey business when I say head on down there. Lulworth Cove: This is well known for its rock pools due to the frequent low tides. If you have a fascination for sea life, this is a good one for you as you can explore the rock pools and see what’s surfaced. Studland Bay: If you just want to go to a natural beach without all the unnecessary extras then Studland Bay is for you. With its wavy seas and sandy beaches, this a great place to go should you wish to relax. A fair warning though, should you walk too far down the beachfront, there is a naturist beach which you should probably avoid if you’re not comfortable with that sort of thing (thank goodness I learned about it second hand or else I would’ve been in for a shock). The Blue Pool: As the name suggests, this is a place near Wareham that contains a pool that appears blue in sunny weathers. Surrounding it is a woodland which you can explore either through a safe green path or a more daring red path. But that’s not all there is to it. There is also a nice tea room, a gift shop and a teddy bear museum for those soft toy enthusiasts out there. It’s a lovely, relaxing place that I would highly recommend. And that’s all. I know that there is a lot more to do in Dorset so feel free to look online. These are just the places I have visited during my annual holidays. Where will I visit next? Who knows? But I know I’ll have fun and I will be unable to wait to share my experiences in the hopes you will visit there someday. And for those who have already visited Dorset, are there any places you would recommend? If so, leave your recommendations in the comments below. Have a wonderful rest of the summer and I’ll see you when I get back!